In Italy, if you are renting a car and want to drive automatic you are going to pay a lot more. Like many folks who know how to use a dial telephone, I grew up driving stick. I learned to drive on a standard transmission Volvo and then a standard transmission VW Rabbit. Though I did take my driving exam in an automatic provided by the school (just to make it easier), I spent the first 20 years of my driving life shifting gears manually. In the 1980s, automatic transmissions were not as ubiquitous as they have now become. I gave in to the trend at the turn of the century. That’s when I inherited a Dodge Spirit (automatic) and subsequently bought a series of minivans (automatic). 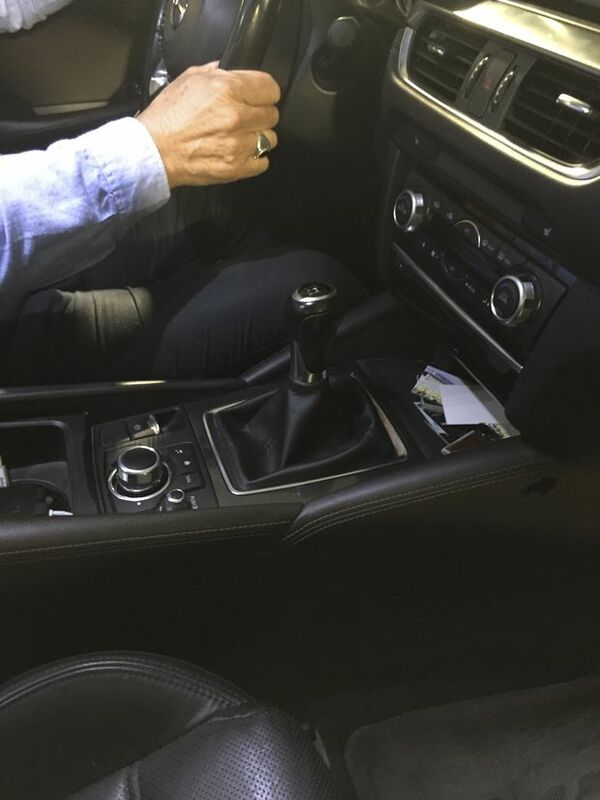 I discovered automatic transmission’s sluggish charm, its effortless appeal – press gas to go, press brake to stop. No more skill required to start on a hill. Automatic transmission is so simple you could train a donkey to do it (most intelligent dogs would find it too boring). Driving automatic is a fitting metaphor for modern life: it’s a simple, joyless exercise that anyone can do and nobody really enjoys. Oh yeah, life goes on, long after the thrill of driving has gone. An opportunity to reconnect to my roots presented itself when I decided to rent a car and do some driving in Italy. People still drive stick in Italy. If you are renting a car and want to drive automatic you are going to pay a lot more. So, I booked myself a standard transmission Ford Focus. My next move was contacting Carlos Tomas, the owner of Shifters. Founded in 1987, Shifters was the first driving school in Canada devoted exclusively to learning how to drive manual transmission. Tomas, 63, has worked as a driving instructor most of his adult life. He’s the stick shift guru. His clients run the gamut from folks who are about to buy sports cars and people who will be driving standard while on vacation to those who need the qualification for employment. He says the quickest studies are musicians – specifically drummers (“They have the rhythm”) and pianists (“If they play a piano with three pedals”). It normally takes someone with no experience around five 90-minute lessons to get to the point where they’re ready to hit the road. 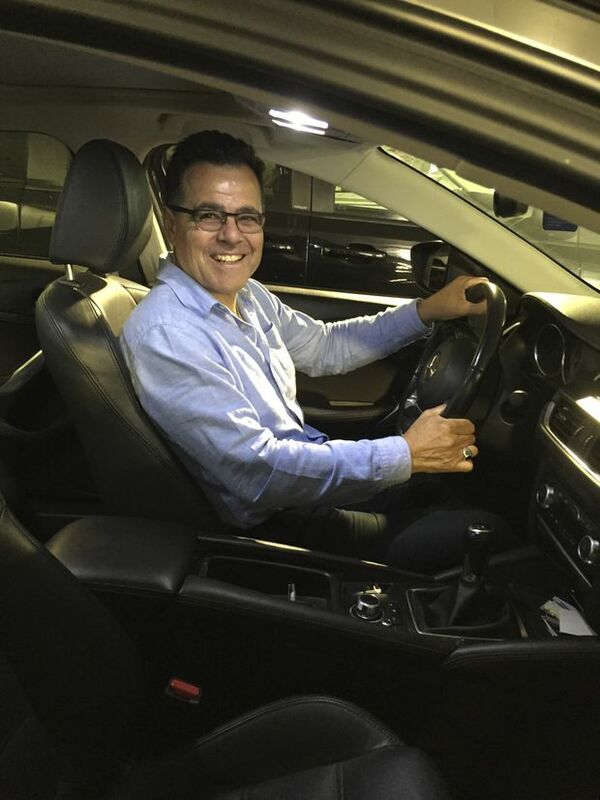 Carlos Tomas, owner of Shifters, a driving school devoted exclusively to learning how to drive manual transmission. Carlos then gets me on a slight hill and we practice coming out of a dead stop on an incline. We find the sweet spot between the gas and the clutch and practise rolling forward as I release the emergency brake. Then we practise using the clutch to inch forward ever so slowly, the way one would in slow traffic or if inching forward to check to see if the way is clear. When it’s all over, I get a passing grade. “You’ll do well over there,” he says. I hope he’s right. 1. Be prepared to rev the engine higher. Many European rentals have very small engines and in order to handle the extra loads, passengers and luggage, you may need to rev these engines much higher than you’re used to in order to avoid stalling during slower manoeuvres, such as parking, as well as when launching. If you want the acceleration to resemble anywhere near what we’re accustomed to in North America, be prepared to rev up before shifting gears, especially on steep grades. 2. Use the handbrake to avoid roll-back. If you’ve become accustomed to letting your vehicle roll back upon starting on a grade, don’t be surprised if your 1.2-litre powered rental stalls when you try this abroad. Rolling back puts a tremendous amount of load and stress on the drivetrain and small engines simply can’t take it. Hold your vehicle in place with the parking brake while you reach for your gas and clutch pedal settings to launch. Both you and your passengers will breathe easier and so will anyone behind you at a stop. 3. Return the car intact, without the smell of a burnt clutch. Parking spaces are scarce, often on steep grades, and always feel as if they’re smaller than the car. Practice and develop your clutch control skills to the point that enable you to move ultra-slowly, backwards, up a steep hill, into the glove.